The inaugural meeting of the AFL Capricornia Advisory Board was held at The Frenchville Sports Club on Sunday. The recently appointed Advisory Board will strategically contribute to the future direction, health, growth and development of football across the greater Capricornia Region. Barry Gibson, State Football Operations Manager, said that the Capricornia Advisory Board would play a key role in shaping football in the region and the board’s appointment has been well received by the member clubs. “The great advantage of the new governance model is that it eliminates the need for volunteers to manage competitions, particularly at a time when it’s becoming increasingly difficult to attract and retain them,” said Mr Gibson. “Having a Competition Manager in AFL Capricornia has had a positive effect on all facets of the game over the past two years and the Advisory Board will only further compliment that effect,” Mr Gibson added. 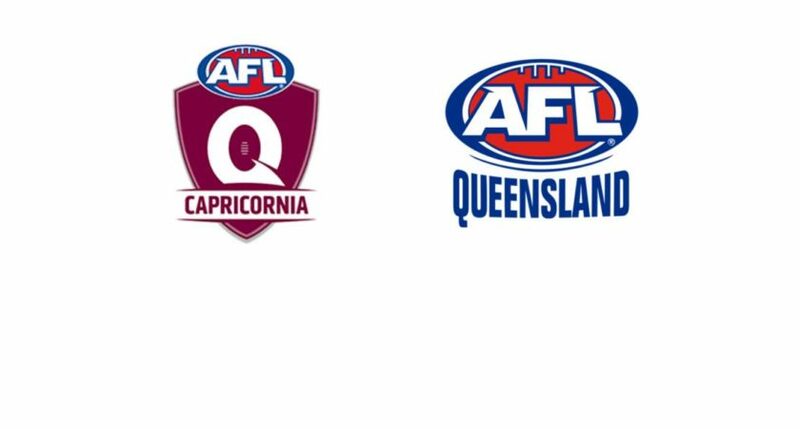 “We are thrilled with the quality of the Advisory Board members for AFL Capricornia and have no doubt that their advice and guidance in their area of expertise will be invaluable for the ongoing health of the game in the region,” Mr Gibson said. Carl Carter has 12 years media and marketing experience with newspapers, and now works as a marketing consultant for Cooper McKenzie Marketing. Carl hopes to AFL in CQ and utilise his marketing experience to give something back. Gabbi Mottershead originates from WA, moving to Queensland five years ago. She holds degrees in business and psychology, currently working as an Organisation Development Advisor in HR business partnering and leadership development. Gabbi has enjoyed and supported AFL locally as a Committee Member and player, which has helped her develop an understanding of the opportunities of our sport in the region. As an Advisory Board Member she hopes to raise the profile of AFL within the region through events that are inclusive and representative of the community. After playing in the local competition six years ago, Justin wanted to help AFL Capricornia reach it’s full potential. With over 12 years experience in advertising, marketing and sponsorship roles he feels the Advisory Board is the perfect way for him to do this. As an Advisory Board Member. Justin hopes to further strengthen AFL Capricornia’s relationships with sponsors and partners. With a background in management, sales and business development, Paul Wilson is currently a Business Development Specialist with CQ Apprentices and Traineeships. In 2018 he held the position of President of the AFL Capricornia Senior League. Paul loves the AFL culture and is passionate about his involvement in community service, including his current role as member of the Advisory Committee for the Communities of Children Capricorn, run by The Smith Family. As an Advisory Board Member Paul hopes to grow AFL participation and investment in our sport. He aims to make sure people love being a part of the AFL. Cameron Wyatt has 16 years local government experience in policy development for land use and strategic planning. His experience will enable him to provide advice for strategic infrastructure to help grow AFL in Central Queensland. Cameron hopes to provide AFL Capricornia with forward planning to help the region achieve a integrated multi-purpose facility.